Vanton started off developing all-plastic sealless, self-priming rotary pumps called Flex-I-Liners. Flex-I-Liner pumps are used in corrosive, abrasive, and viscous fluids, including fluids that could not be contaminate while being transferred. 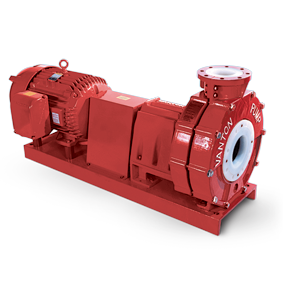 When the Flex-I-liner could not meet capacities industry needed, Vanton created thermoplastic centrifugal pumps. The CHEM-GARD and SUMP-GARD pumps are horizontal and vertical pumps, respectively, capable of higher flows and pressures that the original Flex-I-Liner pumps. These pumps can also handle corrosive, abrasive and ultrapure fluids. These pumps are also used in Vanton’s pump/tank systems. Vanton’s Pump/Tank systems have the complete package of sensors and programmable controls capable of handling up to 5,000 gallons. The advantage of Vanton’s engineered thermosplastic is that they are corrosion and abrasion resistant. Vanton uses a variety of materials to construct the wetted sections of each pump, including polypropylene (PP), polyvinyl chloride (PVC), chlorinated polyvinylchloride (CPVC), and polyvinylidene floride (PVDF). The material can be matched with whatever acid, caustic, salt, solvents, chlorides, halogens or other aggressive chemicals that can attack pumps. Vanton tests every pump, which they engineer to meet individual requirements, beyond the required conditions before it ships to ensure reliable performance for the customer. 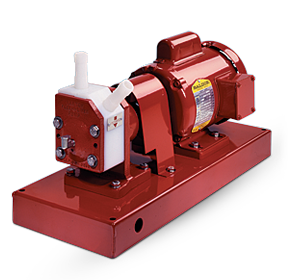 SUMP-GARD pumps are vertical centrifugal pumps available in lengths from 1 ft to 20 ft. They can be constructed with PVC, CPVC, PP, and PVDF. The thermoplastic shaft sleeve protects the heavy duty steel shaft from the process fluid. 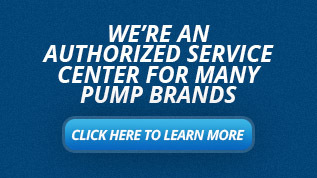 These pumps can handle solutions and mixtures that range across the entire pH spectrum. The CHEM-GARD horizontal centrifugal pumps are highly resistant to a variety of aggressive solutions because of corrosion resistant PP, PVC, CPVC, PVDF, and ECTFE thermoplastics that are inert to fluids ranging across the entire pH scale. The overcome all the failures of stainless steel, fiberglass, and plastic-lined pumps associated with corrosion. They are included in ANSI, DIN, self-priming, close-coupled, mag-drive, combination close-coupled/mag-drive, sealless, and motor designs with integral pump shafts. The wet end is comprised of solid, thick-sectioned, stand-alone components (unlike plastic linings), that are easily replaced, maximizing uptime while minimizing cost. FLEX-I-LINER peristaltic type rotary pumps transfer, sample or meter acids, caustics, solvents, salts, chlorides and reagent grade chemicals — even viscous fluids and slurries containing soft solids and abrasives. Since only two non-metallic parts contact fluid, maintenance and downtime are kept at a minimum. Peristaltic pumping minimizes foaming, prevents settling out of suspensions and permits safe handling of latex emulsions and other shear-sensitive liquids. The pumps are bidirectional and their unique design prevents leakage. Offered in Pedestal Mount and Close Coupled models, FLEX-I-LINER pumps can be furnished with electric motors, with rotary vane air motors or with variable speed drives for metering purposes. 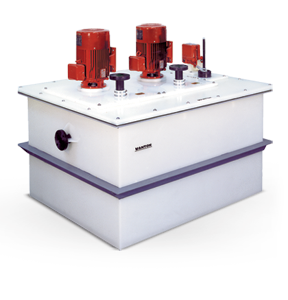 Vanton tanks are integrated with thermoplastic pumps, sensors and controls for Lift Stations, Collection Stations, pH Neutralization Systems, Vapor Recovery Systems, and Laboratory/Small-Scale Waste Treatment Systems. They can be made from PP, PVC, PVDF, and ECTFE, which eliminate corrosion and contamination. Tank-pump systems can be equipped with instrumentation for manual or fully automated systems configured with liquid level controls, visual and audible signal devices, analog and digital display flow meters, flow totalizers, pH controllers and other instrumentation tailored to individual service conditions.